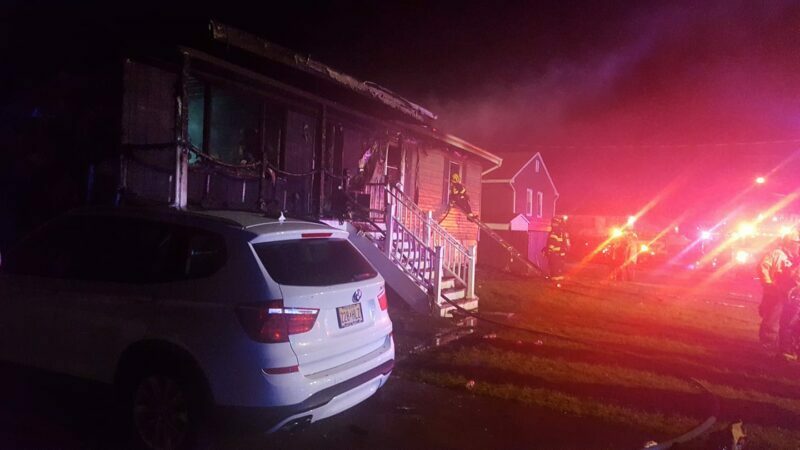 TOMS RIVER-On New Year’s Day, several firefighters sustained injuries after rushing into an empty burning home to rescue what they thought were people trapped in the fire. It turned out after that the home was already cleared out, but three firefighters required medical attention. The call came in 5 am on Tuesday at a home at 15th Street in the Silverton section of town. At this point, the cause of the fire remains under investigation. According to the Silverton Fire Department, three firefighters were injured, including Firefighter Mike Mooney who suffered burns while exiting the home after a flash-over occurred in the structured. At approximately 0500Hrs this morning East Dover Fire Company was requested into the Silverton section of Toms River for a Working Structure Fire with Possible Entrapment. Chief 2800, Ladder 2865, Engine 2801 and Engine 2811 responded, along with multiple neighboring companies to assist our brothers from Silverton Fire Company. Five firefighters, including Mooney, Max Kenny, Jason Goldstein, Salem Bahr and Captain John Keating entered the burning home to search for victims. Mooney was transported to the hospital, but has since been released and is now recovering from his injuries. Photo by Silverton Volunteer Fire Company, Facebook. Portions of this story are based on the official accounts from the responding volunteer fire services.